Ed and Deb Anton currently serve as leaders of the Hampton Roads Church and chair of the American Commonwealth Region. They are also both teachers on the Teachers Service Team (Ed also serves as Chairman), and they direct the Commonwealth Academy which has trained over 100 ministers for full time ministry. They have four children: Zach (26), Chase (24), Caleb (16), and Lindsay (14). Zach is a full time Youth and Family Minister in the London Church; Chase is completing college at Appalachian State; Caleb and Lindsay were baptized last year and now enjoy the teen ministry as young High Schoolers. Ed authored the book *Repentance, A Cosmic Shift of Mind and Heart* and developed the DiscipleMakers, eMANcipators, TentMakers, MeatEaters, NetMenders, and BodyBuilders programs for equipping disciples. Deb also works one day a month as a Family Practice Physician. Courtney Bailey is a disciple of Jesus Christ since 1991, having been baptized in the Campus Ministry of the Kingston Church of Christ at the University of the West Indies, Mona, in December of that year. In 1997, he graduated from the Norman Manley Law School and served on the full-time staff of the Kingston Church for six years, during which time he served the church in the role of an Evangelist. Since 2003, he has practised law in one of the commercial law firms in Kingston, whilst serving the church primarily by preaching and teaching. He was appointed a Teacher for the Kingston Church in November, 2012 and currently serves in that role. Courtney is married to Lovette since 1999, and they have 2 children, Chelsea and Chase. "Ever since I was a young teen, education was my thing. I never wanted to do anything besides teach." Gordon started out as a music teacher back in 1965, then interrupted a graduate program in educational administration to go into the full-time ministry. Having been both a graduate and teacher of the Preston Road School of Preaching in Dallas, Gordon's ministry career of international preaching and teaching has now brought him full circle back to Dallas, where he resides with the love of his life and his favorite ministry partner, his wife, Theresa. He joined our movement of churches in 1985 and began work in the New England School of Ministry, and also doing extensive preaching and teaching in European churches. Prepared to Answer (1995) and Victory of Surrender were the first of his fifteen full-length published books. Gordon has served as a teacher, elder and evangelist. He has directed and taught at several international ministry training academies: the Asia Pacific Leadership Training Academy; the European School of Ministry; and the Ukrainian Institute of Ministry. For decades he has been a sought-after speaker and Bible teacher, known for his passion and Biblical soundness. He now focuses primarily on a writing ministry. You can keep up with his articles on his teaching ministry website at www.gordonferguson.org and with his blog posts on racially related topics at www.blacktaxandwhitebenefits.com. Andy and Tammy Fleming have served as full-time Evangelist and Women’s Minister for over thirty years in the International Churches of Christ. Career missionaries, they have invested their lives in the churches in Scandinavia, the UK, Los Angeles, and the former Soviet Union. From 1991-1999 they lived in Moscow, Russia, during which time they oversaw the planting of 24 new congregations, the largest of which is currently Kiev, Ukraine, with approximately 1700 members ---where their daughter and her husband currently reside. They have worked with the ICOC’s administration, have overseen mission efforts in the Middle East, and currently serve on the ICOC Teachers’ Service Team. They are fluent in several languages and are published authors. As financially-retired volunteer ministers, they now reside in Kiev, Ukraine, oversee the Greater Eurasian Mission Society’s Ministry Training Academy, and focus on training elders and teachers for Eurasian churches. Andy is due to complete a Masters degree in Christian Ministry with Abilene Christian University in December 2018; Tammy is an Advanced Grief Recovery Method® Specialist. Dr. Glenn Giles has the unique honor of having been a church minister, “…who became obedient to the faith,” as we read about in Acts 6:7. Having basically no religious background as a child, he became thirsty for truth and knowledge of God and started studying the Bible at age 17. Glenn held a wide variety of jobs while pursuing a broad theological education, ranging from shepherd and ranch-hand, to service station attendant, packer at Kentucky Fried Chicken, a loader at UPS, to a 21-year long career as a Pharmacist at Wal-mart. Roger Lamb was the first disciple of Jesus Christ to cross Glenn’s path who impressed him with news of a church that was growing (the Chicago Church of Christ), and who spoke with remarkable strength and conviction about discipleship. An ICOC campus minister at Marquette University in Milwaukee studied through the First Principles Bible study series with Glenn three times. “I’d missed the heart,” Glenn says. “All I had was the Greek, the Hebrew; and I had to always check everything out as I trusted in my own ability to determine truth. This made me so prideful. I had to learn to be taught by God.” At the time that Glenn was studying the Bible (1987), he was the Associate Minister of Church Growth and Evangelism (and an Elder) at Lakeland Christian Church in Mundelein, Illinois. "I finally was broken by God of my pride and was baptized in May 1988, and became part of the Milwaukee Church of Christ!" Glenn holds a Masters of Divinity in New Testament, a Masters of Theology in New Testament, a PhD in Biblical Studies. “Retired” from pharmacy since 2015, he serves as an Elder and Teacher in the Denver Church of Christ in Denver, Colorado, USA; as the Director and Professor of Bible and Theology in the Rocky Mountain School of Ministry and Theology (Denver, Colorado, USA); and as an Adjunct Professor of Bible, Lincoln Christian University, Lincoln, Illinois, USA. He and his wife, Linda, have been married for 45 years, and they have three children and four grandchildren. The remarkable quality of the Rocky Mountain School of Ministry and Theology (RMSMT) is that it is currently the only educational institution in our ICOC fellowship which can offer courses leading to a fully accredited Master's Degree in the Bible, through the School's relationship with Lincoln Christian University. The mission of the RMSMT is to equip International Church of Christ (ICOC) disciples worldwide to take the Gospel of Jesus Christ to the ends of the earth through training students in evangelism, church growth, and church planting as well as to give students a solid biblical foundation and maturity in their walk with God. Joey Harris has been a disciple of Jesus for 30 years and is a Bible teacher, writer, church planter, and consultant. He has a degree in Molecular Biology from Princeton University, and has studied Ancient Greek and Biblical Hebrew as well as graduate studies in Organizational Behavior at the University of Pennsylvania. He has a M.Ed. in Adult Education and Training from the University of Phoenix and has done graduate and post-graduate work in theology, religion, history and biblical studies at Princeton University, Trinity Theological Seminary, and Columbia International University's Seminary and School of Ministry. Areas of specialization include Second Temple and Early Church history, biblical exposition, world religions, apologetics, and multicultural ministry. Joey has been married to Debbie for twenty-two years and they have three children David, Danielle, and Camille. Joey has served congregations in various capacities in New York City, New Jersey, Philadelphia, and in Georgia and the Southeast. He has taught churches throughout Africa, Europe, the Middle East, the Caribbean, the U.S., and Latin America. Joey has been Co-Director and teacher at the Athens Institute of Ministry (www.athensinstitute.org) since its inception and serves on the ICOC Teachers Service Team. The Harrises currently reside in Augusta, GA where Joey serves as a teacher and helper of the churches that meet there (www.theaugustachurch.org). Joey is a voracious reader and writes occasionally at www.TeachMeTheBible.org. Since 2003 Douglas has worked as a freelance teacher, consultant, and university professor. He has ministered in 120 nations, has earned degrees from three elite universities, and is proficient in teaching, preaching, training, podcasting, and debating. He has engaged in a number of debates with well-known atheists, imams, and rabbis. Douglas is also an adjunct professor of theology at Lincoln Christian University. Since the late 90's, Douglas has led annual tours to the Biblical world. The Jacobys have three adult children. Douglas and his wife, Vicki, reside in the Atlanta area. Access the International Teaching Ministry of Douglas Jacoby here, at www.douglasjacoby.com. Dr. G. Steve Kinnard has served as an evangelist and teacher for more than thirty years with the New York City Church of Christ. He has preached and taught the Bible on every populated continent. He received his undergraduate degree at Freed-Hardeman College and his Master of Divinity with Languages degree from Southeastern Baptist Theological Seminary. He then completed his Doctor of Ministry degree at Drew University. Steve and his wife Leigh minister in Rockland County, New York. Steve also serves as Adjunct Professor of Bible at Lincoln Christian University and Professor of Bible at the Rocky Mountain School of Ministry and Theology in Denver. 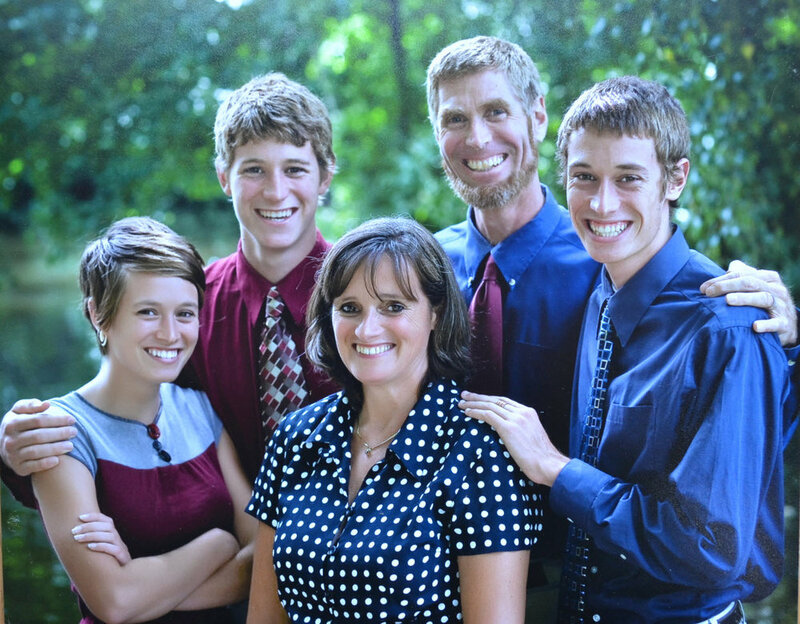 Steve and Leigh have two married children and two grandsons, whom they adore. Steve has published over a dozen books, the newest of which is Jesus and the Poor. You can find his books at ipibooks.com. Read Steve’s blog “The King Jesus Herald” at https://stevekinnard.wordpress.com. Suzette Lewis is a Women’s Ministry Leader and works in the Co-Leadership of the Toronto Church of Christ alongside her husband Andrew. She became a disciple in 1989 as a single parent and has been married since 1992 with 2 adult children and 1 grandchild. Suzette graduated from Brock University in Adult Education and later completed a Master of Arts in Conflict Analysis and Management at the University Victoria B.C. Suzette fell in love with her community when she joined a counselling team working with Violence Against Women, Children and Youth and teaching as a College Professor. She is a Qualified Mediator and Trainer of Restorative Practices and Victim Offender Reconciliation. With a passion for her local community, Suzette is President of Make Your Mark a Youth Leadership Enterprise that empowers young girls for change and leadership. Suzette developed a strong sense of commitment for the nonprofit sector as an Executive Director for Community Justice Alternatives; she is responsible for the overall strategic direction and operation of programs including Youth in Conflict with the Law, Adults serving Correctional Probation and Parole sentences and Community Mediation. Her experiences have given her a deep appreciation for how people can improve the quality of their lives one step at a time. Kay Summers McKean was raised in Miami, Florida and graduated from the University of Florida in 1975. She and her husband Randy have served in ministries in South Carolina, Florida, Massachusetts, Japan, and throughout Europe. She currently serves as the director for Women’s Ministries with the Northern Virginia Church of Christ, just outside of Washington D.C. In addition to her church ministry, Kay serves on the Teachers’ Service Team for the International Churches of Christ, and is an author of several books, including “In The Beginning”, “Love Your Husband” (co-authored with Gloria Baird), and “Radical Love” (co-authored with her husband Randy McKean). Kay’s greatest joy is sharing biblical perspectives and spiritual insights with open-hearted seekers. She and her husband have been married for 39 years and have two grown children who are married, and four delightful grandchildren. Rolan Monje (BD, MMin, DMin) serves as an evangelist and teacher. He is Professor of Hebrew and Old Testament at Rocky Mountain School of Ministry and Theology in Colorado, and also directs the Asia-Pacific Leadership Academy in Manila. Dr. Monje travels extensively (over 100 cities across 6 continents) and has spoken in countries as varied as Germany, Turkey, Qatar, Greece, UAE (Dubai), Ecuador, Canada, Nigeria, Myanmar, and Australia. He and his wife, Weng, oversee a region of churches in the Philippines and have been on staff over 20 years. They have two daughters, Yana and Stefi. Dr. Monje's Bachelor of Divinity is in Biblical Languages from the University of London; his Master of Ministry is from the American Bible College in Florida, USA; his Doctor of Ministry is in Pastoral Theology. John Oakes was born and raised in Connecticut. After graduating with a BS in Chemistry at the University of Connecticut in 1977, John became a Christian as a graduate student in 1978 as part of a campus ministry in Boulder Colorado, led by Tom Brown. 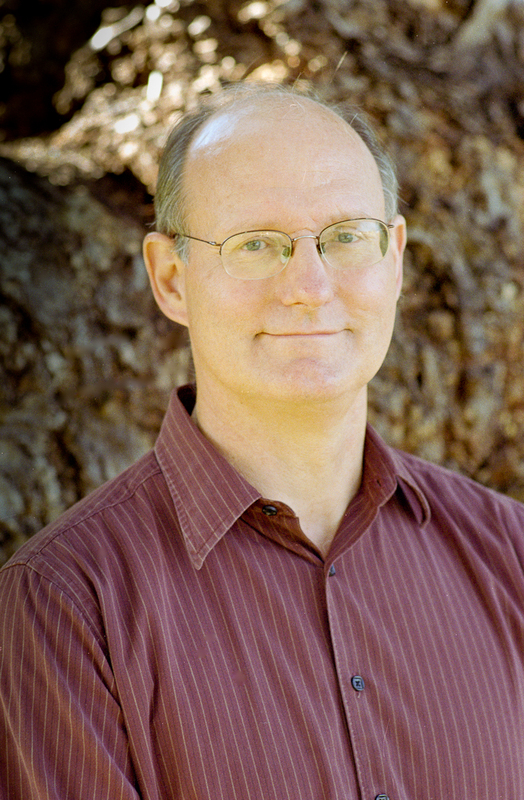 Having been part of the campus group for six years, it was in 1984 that John earned his PhD in chemical physics from the University of Colorado. He and Jan were married the same year. After working as an intern in Boulder, John and Jan moved to Spokane, Washington, where John was a chemistry professor at Gonzaga University. From there they moved to San Diego, where they worked in the ministry from 1986-1988. At that time John returned to teaching. He taught at UCSD, Mesa College, and other colleges in the area. In 1993, John and his wife and three children moved to Fond du Lac, Wisconsin, where he had a position as a professor of chemistry and physics at Marian College. In 2000, their family returned to San Diego where John works as a professor of Chemistry at Grossmont College. He and Jan have three children: Ben, 31; Elizabeth 29; and Kate, who is 27. John is the author of ten books (see below). His dual PhD in chemistry and physics, and over thirty years of teaching experience uniquely qualify him to deal with areas of science and the Bible. He is the president of Apologetics Research Society, a California non-profit corporation. ARS sponsors the evidenceforchristianity.org website and many other projects, including annual International Christian Evidences Conferences. John has taught adults, campus, singles and teens for more than 170 churches, in more than sixty five countries and at 35 universities. As far as other interests are concerned, John likes to run and work in the garden. (1999) “Is There a God? Questions of Science and the Bible” - designed to answer many of the questions raised by modern scientific discovery. (2000) “Daniel, Prophet to the Nations” - an exposition of Daniel, combining a discussion of the practical applications of the book with a detailed analysis of the prophetic content in Daniel. (2001) “Reasons for Belief: A Handbook of Christian Evidences” - a general Christian evidences book designed to encourage the faith of believers and to help create faith in non-believers. (2005) “From Shadow to Reality” - explores the numerous prefigures, foreshadows, types and antitypes in the Old Testament which bear witness to the life and ministry of Jesus Christ, as revealed in the New Testament. (2008) “That You May Believe,” co-written with David Eastman - a book on the miracles of Jesus, focusing on the theological and practical implications of the wonders and signs worked by Jesus. (2011) “Field Manual for Christian Apologetics” - a summary of hundreds of questions- and-answers, along with a number of essays on various apologetics topics. (2012) "The Christian Story: Finding the Church in Church History Volume I" - covers the first 430 years of the history of Christianity, focusing in on how we can learn how to “do” church in light of the experiences of the early church. (2012) "Mormonism: What Do the Evidence and the Testimony Say?" (2014) “Golden Rule Membership,” co-written with Linda Brumley - focuses in on the proper use of freedom in Christianity as well as taking a fresh look at the role of members in a Christian community. (2016) volume II of his series on Church history was published by Illumination Publishers www.ipibooks.com. John has also published a number of CDs on Islam, The Book of Daniel, The Problem of Pain and Suffering, Hebrews, World Religions, Revelation, Christian Theology, Old Testament Survey, the Book of John and many others. David and his wife Beth (Married 25+ years) spent the first half of their career serving in full-time ministry in the International Churches of Christ. For the majority of that time, they specialized in Family and Teen Ministry. David and his family lived in South Africa from the beginning of 2010 to the end of 2013, when they moved to San Antonio because their oldest daughter had graduated from high school. In addition to the Pocta’s work in Family Ministry in Africa, he developed Ministry Training Academies across the African continent in Johannesburg (2011), Nairobi (2013), and Abidjan (2015) to train church leaders. In 2012 David and Beth launched a Christian resource company named GROUNDED Publishing. They have produced more twelve resources covering marriage, family ministry, evangelism, discipleship, and faith formation. David also served as the chairperson of the International Churches of Christ Family & Youth Committee from 2009 until 2015. He and his wife have spoken to churches and church leaders around the world from countries such as South Africa, Ghana, Madagascar, Mauritius, Ukraine, Ivory Coast, Zimbabwe, Kenya, Mozambique, Singapore, Malaysia, Indonesia, and the Czech Republic. David audited two Ph.D. courses during the 2015/2016 school year and entered the Ph.D. program as a full-time student in the fall of 2017. He is particularly interested in spirituality and scripture. His plans for his dissertation are to study stages of spiritual development as they relate to Sacred Scripture. After matriculation he plans on teaching, speaking, and writing. David has two daughters in college, Hannah and Madeline. Hannah was married in June 2017 and the Pocta’s are thrilled to have Tacho Coronado as a son-in-law. Congregational Workshop Specialties: The Sinner’s Prayer, Church History, Family and Parenting, Conflict Competence.